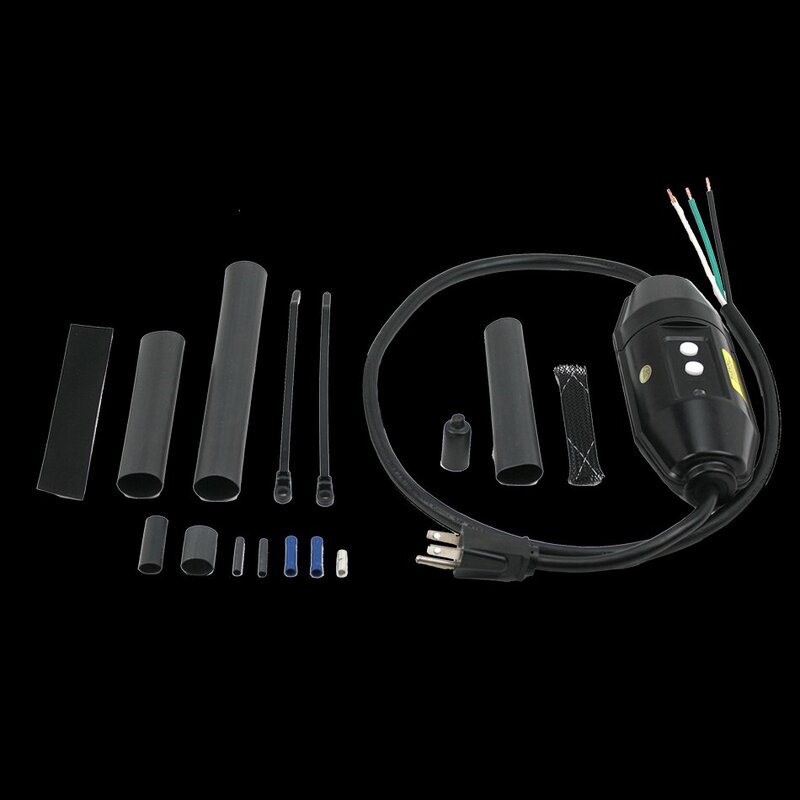 The SR-PLUG-KIT Plug-in Conversion Kit with Ground Fault Equipment Protection (GFEP) for Self-Regulating Heating Cable (part #JSR08) includes materials to facilitate plug-in installation for self-regulating (otherwise hardwired) roof & gutter de-icing or pipe freeze protection systems. This kit provides ground-fault protection and is cULus Listed for 120V (only) ET-SR or PT-SR series cables. An end-termination kit is included. One required for each individual run of cable. Ice Shield: Self-Regulating Roof and Gutter Deicing Systems achieved an average rating of 5.0 stars with 3 reviews by our customers. The system went together as planned, no issues.